"Art in Bloom" is this month; I was lucky to be one of 24 artists selected by juror Michael Sherrill to pair with floral designers, who interpret each art work; the art work will be in the Gallery at Flat Rock until June 11. 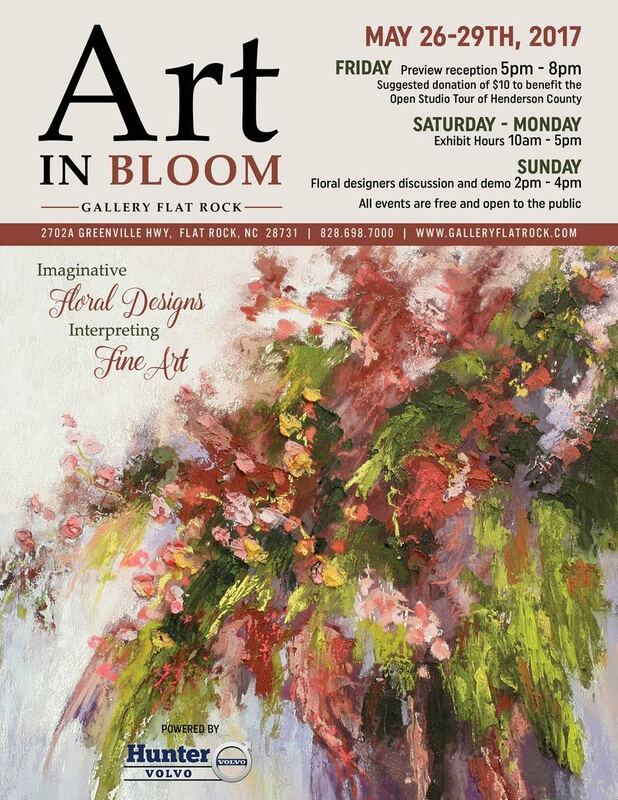 It's an honor to be a part of this exhibit in a beautifully elegant space. Deedie Springer of Springvine Design will be the floral designer for my painting "New Beginnings" from the Songs of the Earth series. 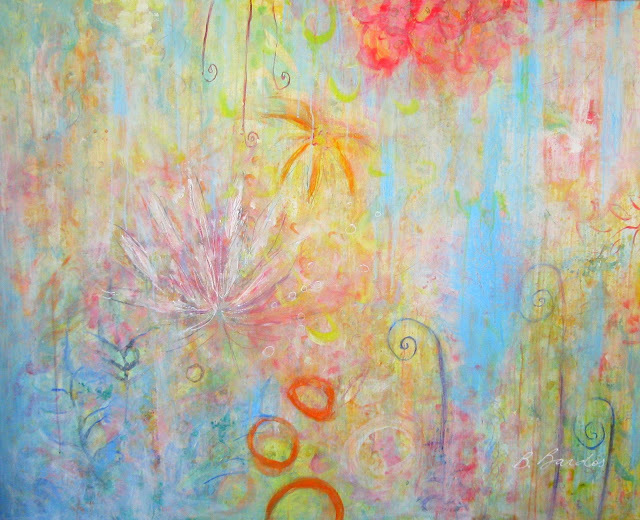 "Songs of the Earth: New Beginnings", Bonnie Joy Bardos, 48" x 60"